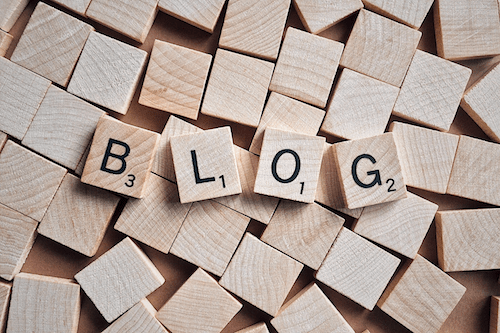 So, you started a blog for your business. You have all of the necessary resources ready, but just as you begin to start writing, it occurs to you: what are you going to write about? The truth is, blogging can be a pretty challenging task. Not only do you have to allocate business resources for it, but your team actually has to sit down, think of an idea and then put it into words. Without strong content, a blog can quickly fall apart. If this sounds like you, you’ve come to the right place. Today we discuss seven post ideas for your business blog. 1. Share about your team. Strong team members are the lifeblood of any business, so start your blog off right by sharing more information about them. Whether you write about the team culture, a team outing, activities or spotlight individual staff members, sharing about your team is always a great way to engage with customers on a more personal level. If a business hosts an event, sponsors an event or offers a sale or promotion, there should be at least one blog post about it. Before you host or sponsor an event, outline the details in your blog. Afterwards, share a blog about how the event went and what you’re looking forward to in the future as a result of it. 3. Highlight a product or service. This one should be pretty simple. Highlight a favorite product or service of the business by describing it in greater detail through your blog. Or, if a product or service isn’t gaining the return on investment you had hoped, a blog post might just be the little extra push it needs to grow. 4. Teach about your field. Education without expectation is a great way to share information about your business through the blog, without making consumers feel like they have to buy something from you. Use your blog to teach about valuable information and knowledge from within your industry or field. Find something interesting, intriguing or insightful that consumers can learn from you and write about that. If a business has any partner nonprofit organizations or companies, then a blog is one of the perfect places to support them. Share about your partner organizations on your blog. Why did you decide to partner with them? What makes the organization valuable? This gives readers some insight into the company and also shows that you care about other businesses and nonprofits within the community. 6. Talk about industry news. If there is any relevant news out there related to your industry, talk about it! What’s going on? What changed? Discuss relevant industry news through your blog platform to show readers you’re up-to-date and help keep them informed and knowledgeable, as well. 7. Use a guest blogger. If you have the same consistent writers blog for you over and over, take a quick break and use a guest blogger. This can be anyone from an outside source, to a leader in the industry or even an executive in the company. Guest bloggers build credibility for the blog and bring in a fresh, interesting perspective to spice things up a bit. Strong content is the backbone of a business blog. If you’re not sure where to start with your blog, try out these seven post ideas. Share a blog post and engage with consumers in order to continue marketing and growing the business.